5/21/2005 Over 1,400 Articles Posted! Nearly 100,000 People Downloading A Salvation Page Per Year! We learn from this narrative, the necessity of human agency. The draught of fishes was miraculous, yet neither the fisherman nor his boat, nor his fishing tackle were ignored; but all were used to take the fishes. So in the saving of souls, God worketh by means; and while the present economy of grace shall stand, God will be pleased by the foolishness of preaching to save them that believe. When God worketh without instruments, doubtless He is glorified; but He hath Himself selected the plan of instrumentality as being that by which He is most magnified in the earth. Means of themselves are utterly unavailing. "Master, we have toiled all the night and have taken nothing." What was the reason of this? Were they not fishermen plying their special calling? Verily, they were no raw hands; they understood the work. Had they gone about the toil unskillfully? No. Had they lacked industry? No, they had toiled. Had they lacked perseverance? No, they had toiled all the night. Was there a deficiency of fish in the sea? Certainly not, for as soon as the Master came, they swam to the net in shoals. What, then, is the reason? Is it because there is no power in the means of themselves apart from the presence of Jesus? "Without Him we can do nothing." But with Christ we can do all things. Christ's presence confers success. Jesus sat in Peter's boat, and His will, by a mysterious influence, drew the fish to the net. When Jesus is lifted up in His Church, His presence is the Church's power--the shout of a king is in the midst of her. "I, if I be lifted up, will draw all men unto me." Let us go out this morning on our work of soul fishing, looking up in faith, and around us in solemn anxiety. Let us toil till night comes, and we shall not labour in vain, for He who bids us let down the net, will fill it with fishes. [C.H. Spurgeon, "Morning and Evening Devotions"
God is writing "Ichabod" on the front door of this false but counterfeit church! This collection is the favorite of the Cutting Edge Director. Visit our "Sacred Music Center" - and listen before you buy! Dr. Stan reveals how secret societies have directed the course of history and of our entire civilization. Stan reveals how the Illuminati created Freemasonry, and then how Freemasonry created Communism, and the House of Theosophy. Truly, once you understand the truth contained in this book, you will never look at history, or the current news, the same way again. You will also understand the workings of current events much better. Considered to be one of the classic exposes' of all time on secret societies and their roles, as it is the fruit of over 40 years research. Reprint of a classic. 1,536 pages, Genuine Leather, with elegant binding perfect for collectors and for everyone. who cherishes the KJV. Please note that this Elizabethan or 'Old English', not modern English. This is a keepsake Bible more than a study Bible. SPECIAL PURCHASE: Now save $10!! 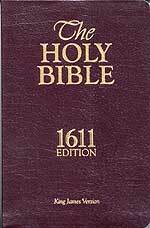 This 1611 King James Bible is also available in Hardcover - Regularly $39.95, On Sale $33.95, Save $6.00! 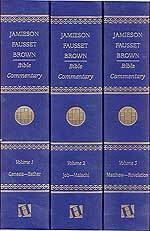 * "Jamieson-Fausett-Brown Bible Commentary" -- 3-Volume Set - Regularly $129.95, On Sale For Only $69.95 - Save $60! Highly recommended by Evangelist C.H. Spurgeon, who said of this Commentary set: "It contains so great a variety of information that if a man has no other exposition (of the Scriptures) he would find himself at no great loss if he possessed and used it diligently." Jamieson-Fausett-Brown Bible Commentary is such a critical, experimental, and practical Bible commentary, it has been beloved by generations of Christians. 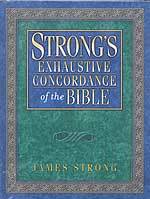 This 3-volume set is renowned for its scholarship and keen insight into the Scriptures. During this Last Days' era of extreme Church Apostasy, Christians today need material in which they can place substantial faith -- Cutting Edge Ministries regularly uses Jamieson-Fausett-Brown Bible Commentary; we highly recommend it. The Cutting Edge Director uses this set of commentaries constantly in his writings. At a time when extreme End of the Age Apostasy has set in all across this land, and little in-depth preaching is ever heard, we need to go back to the "Old Time" resources. For this reason, Cutting Edge carries so much material of the old teachers and preachers. 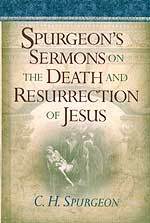 * "Spurgeon’s Sermons on the Death and Resurrection of Jesus" - Regularly $19.95, On Sale #12.97, Nearly a $5 savings! Experience Jesus’ death and resurrection with Charles Spurgeon, one of the nineteenth century’s greatest preachers. In this collection of over forty sermons, Spurgeon takes us through The Last Supper, Jesus’ passion and death, including Christ’s cries from the cross, up to his glorious resurrection . 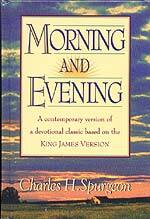 Drawing us into the scripture text for each sermon, Spurgeon uses vivid word pictures and thought-providing concepts to make his points.His direct, practical style,wide choice of topics, and biblically-saturated discussions offer a wealth of wisdom that is still dynamic and relevant today. Both lay readers and clergy will find treasures here in Resurrection Day —and throughout the year. 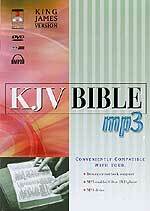 * "KJV Bible On MP3" - Comes In Protective Case - Regularly $29.95, for only $16.97! Save nearly $13! Demand for audio books is skyrocketing. Cutting-edge recording technology delivers a crystal-clear reading of God’s Word on only three CDs. Enjoy Stephen Johnston’s powerful narration of the King James Version accompanied by soothing background music—72 hours instantly accessible via MP3 device, computer, or MP3-enabled CD or DVD player. 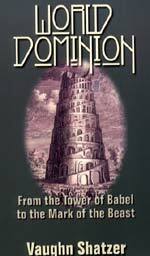 4) Includes complete Hebrew and Greek Dictionaries, organized by Strong's numbers, which give brief lexical definitions of each word in the original languages. I. The determined drive towards the global religion foretold in Bible prophecy took a huge jolt forward this week as Anglicans agreed with Roman Catholics as to the place the Virgin Mary plays in religion! Anglican leaders could only reach this incredible denial of Biblical truth by abandoning the firm foundation of doctrine for the slippery slope theology which Catholicism has always practiced! Can you hear the approaching footsteps of the four horses of the Apocalypse? "The historical separation between Roman Catholics and Anglicans has narrowed after both found common ground on the position of Mary, mother of Jesus, according to a document conceived at the highest church levels ... Anglicans, already close to Catholics because of liturgy and traditions, have moved even closer through their understanding of Mary as outlined in the joint statement, which took five years and an international committee to complete." One of the major prophecies Bible scholars have looked to in order to ascertain how close the world was to the final appearance of Antichrist is the growth of the global church which the False Prophet will lead (Revelation 13:11-18). Ever since the New Age Movement sprang forth into the public consciousness in 1975, one of the major buzzwords has been the unification of all religions "Unity In Diversity". New Age leaders consistently called for a radical thinking and belief switch -- which they call a "Paradigm Shift" -- to occur at the End of the Age. Without this Paradigm Shift in religious values, the New Age Christ could not appear. Then, on August 18, 1991, I personally heard the New England Director of the House of Theosophy tell a select group of members and guests that the Roman Catholic pope -- whomever he was at the time -- had been selected to be the top religious leader of the New World Order Religion (NEWS1052). That designation made the Roman Catholic Pope the Biblical False Prophet! Pope John Paul II circled the globe many times in an effort to bring about this global reconciliation. His successor, Pope Benedict XVI, has pledged to continue that effort. Now, let us return to this feature article to see how much theological difference this agreement bridged between Protestant Anglicism and Roman Catholicism. Watch the firm theology surrendered by the Anglican leadership in order to be able to embrace Mary. This paragraph succinctly defines the problem facing these two groups of theologians. I did not realize that Anglicans already revered the Virgin Mary this much, even to the point of celebrating six Marian feast days! Protestant Bible scholars have long maintained that the Anglican and Lutheran churches erred in their break from Rome because they did not break completely enough -- just as this article states. Once a church begins to venerate the Virgin Mary in a similar manner to the Catholics, it will only be a matter of time before they fully embrace all Vatican doctrine. This agreement is only the beginning. Since Roman Catholicism has always acknowledged that the role they give the Virgin Mary cannot be supported simply by Scripture, let us see how the Anglican theologians can justify elevating her nearly to a level of deity. When you read their justification, you will realize that a freshman student of Speech in a local college would instantly recognize the false nature of this line of argument: you cannot reach a firm conclusion by the lack of argument against! Aha! Now we understand how these false Anglican religious authorities could agree with Catholicism on the veneration of Mary. Instead of admitting they are relying on the Roman Catholic Traditions for this spurious teaching, they invent a new term, called "ancient common traditions"! But, a "rose is a rose by any other name", and this line of reasoning relies squarely on Roman Catholic Church Traditions. God's Written Word totally condemns Rome’s doctrine. God insists that all mankind is subject to His written word. Some men like to think of themselves above that which is written and equate their own words equal to God’s word. Rome has done this by saying that their Church Tradition is equal in authority to the word of God. That is adding to God’s word things that are not written! Praise God that He revealed this lie in His written word. Four centuries before Jesus' ministry, the Pharisees and Sadducees had created a body of Jewish teaching which was parallel to authentic Scripture - a body of work we call the Old Testament. These false teachers told the people that these parallel teachings were as valid as God's Word! They called this body of teaching the "Traditions of the Fathers". Jesus regularly condemned this Tradition! 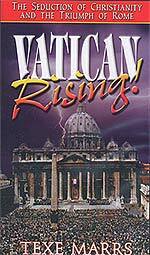 Roman Catholicism has fallen into the very same very deep pit. Now, Anglicanism has fallen into the Catholic pit. * NEWS1712 -- "By What Authority Do You Teach The Scriptures?" * NEWS1676b -- "The True Face of The Roman Catholic Inquisition -- Rotten Spiritual Fruit From The Abyss" (Did you know that the murderous, torturous Roman Catholic Inquisition which killed tens of millions was based solely on Church Tradition? * NEWS1861 -- "What Is Christian Fundamentalism?" Now that you know the difference between the firm foundation of the "Scripture Only" position of fundamental Baptists and Protestants, versus the slippery slope of Roman Catholic Church Tradition, now let us go back to our featured article. You will see the Anglican Church sliding into the Abyss, to join the Catholics already there. Notice in this last Scripture forbidding adding anything to God's Word that the person who does so is discovered to be a "liar"! Since the world stands at the cusp of the beginning of the Final Birth Pangs which will produce Antichrist, we are very close to the beginning of the 7-year Tribulation Period, the period of time in which Jesus' Words, above, are aimed. In fact, this Anglical decision will carry into the Tribulation Period. Individual Anglicans who participate in this Catholic veneration of Mary will be subject to these awful words of condemnation from Jesus. The prophecy clock just advanced a significant amount, bringing the world far closer to the ecumenical religion of the False Prophet than we were just days ago! Now, let us examine another shocking story which also demonstrates how close the world is getting to the appearance of Antichrist and the building of his great temple. This news story again informs us of the lateness of the hour. II. A famous Noahide archeologist has just received Kabbalist permission to find the Holy Ark of the Covenant and show it publicly because "the time is now right" to uncover the Ark! Since we fundamental Christians are very sensitive to the "right prophetic time", this story may have great significance! This story also mentions a very specific -- and close -- time frame! This story gives just such evidence. Let us get back to the article now, for even more pertinent news. Why would the time not be right in April, but is suddenly "right" in the month of May? 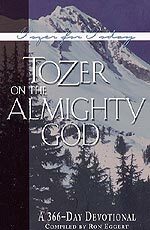 Perhaps no one will ever really know the answer to that question; however, we do know that events are speeding along to a climax, with events either fulfilling Bible prophecy or setting the stage to fulfill prophecy. So many Christians are continually asking the question, "How long" until the Lord returns? "How long" until Antichrist appears? And, the discerning, Bible-believing person will also be asking, "How long" until the final global "Birth Pang" war erupts which will allow Antichrist to stage his appearance? III. News reports suddenly appeared, challenging the truthfulness of the Number of the Beast as revealed only in Revelation 13:18 as '666'. If the true Antichrist is about to appear, it does make sense that Satan would not want the truth as to the real number assigned to him to be clear in everyone's mind. "For centuries, people have been intrigued by the number 666, the 'number of the beast' from the Book of Revelation in the New Testament. Not only is it mentioned in the Bible, it has been associated with Satanism, universal price codes and the game of roulette, as the numbers on the wheel add up to 666. Now, the legendary number is getting a fresh look, as researchers are re-examining evidence the number may actually be 616. While many Bible have footnotes saying the number translated from the original Greek could be 616, experts say new photographic evidence of an ancient fragment of papyrus from Revelation indeed indicates the number is indeed 616, instead of 666." Such a "discovery" could certainly shake the faith of the weak, undisciplined Christian and would provide skeptics with new ammunition with which they could attack Biblical prophecy and the inerrancy of Scripture once again. "Scholars in England have been using modern technology to scour some 400,000 bits of papyri which were originally discovered in 1895 at a dump outside the ancient Egyptian city of Oxyrhynchus. Many of the sections have been damaged and discolored, but an imaging process is shedding new light on the sacred text, believed to have originally been penned by John, one of Jesus' 12 apostles. 'This is a very nice piece to find', Ellen Aitken, a professor of early Christian history at McGill University, told Canada's National Post. 'Scholars have argued for a long time over this, and it now seems that 616 was the original number of the beast'." Remember that Jesus foretold in Matthew 23:4, 11, and 24 that unparalleled deception would be one of the hallmark characteristics of the End of the Age. This new assertion certainly fits the bill as "unparalleled deception". Remember, when the New Age, Masonic Christ really appears, he will not want people to recognize him as "The Antichrist" based upon Biblical prophecy. Therefore, this "discovery" at a moment when so many other prophecies are flashing "End of the Age" must be taken with a huge dose of skepticism! 1. A Bible scholar warns that this new information cannot be taken seriously. "As a professor of New Testament whose specialty is textual criticism, I was particularly interested in Chris Wattie's piece, 'Beast's real mark devalued to '616'" (May 4, 2005). However, I noticed several errors in the essay, some of which I know from first-hand knowledge of the manuscript in question. "First, the papyrus fragment is not 1500 years old. It is closer to 1700+ years old. "Second, the fragment was not so badly discoloured that scholars could not make out the wording without sophisticated imaging equipment. Such equipment--such as multi-spectral imaging (MSI)--is often used on manuscripts that are in very bad shape. "Third, this discovery is not new. I saw the fragment two years ago at the Ashmolean Museum of Oxford University. It was published over five years ago; just now it is making its way into popular literature as though it were a new discovery. "Fourth, I don't know who Ellen Aitken is, nor Elijah Dann, but it seems that Wattie did not interview textual critics for this piece. Aitken makes the astounding claim that 'it now seems that 616 was the original number of the beast'." "I am inclined to the view that the original wording here was 616, but a lot of work is needed to determine this. Although this is the earliest fragment for this portion of Revelation, the fragment's textual affinities and general reliability still need to be examined fully. "Further, the number 616 was known in antiquity and was discarded in the second century. 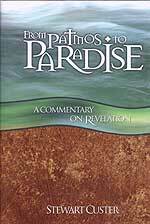 Irenaeus, the patristsic commentator, wrote a chapter on the number of the beast, arguing that in the better manuscripts of Revelation that he had seen the number was 666 instead of 616 ... the fact that he was writing in the second century tells us that BOTH numbers existed at that time." "The point here is that one cannot simply appeal to the earliest manuscript and assume that the case is settled. Textual criticism is not done in such a simplistic manner. Date is indeed important, but there are several other factors involved." Dr. Wallace makes a very good point. 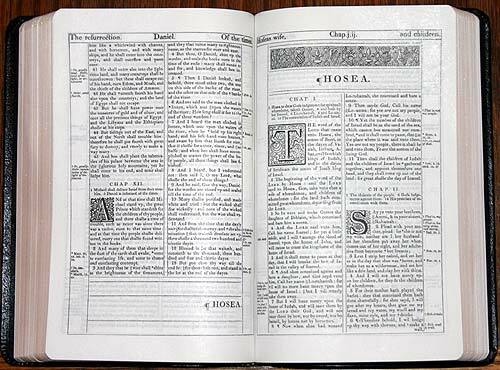 While Bible scholars are always looking for the earliest manuscripts, they never assume that the oldest will always be the best or the most accurate. If this fragment is over 1,700 years old, it would date somewhere in the 300's A.D. The Apostle Paul in 65 A.D. was fighting the heresy of the Essenes and the Gnostics, both of whom denied many key Christian doctrines. Gnosticism was especially virulent and today is the basis for much of the modern era religious heresy with which mankind is afflicted -- including the New Age Religion. This fragment could have originated from either of these two heretical groups and be just as false any one can imagine. However, since mankind is at that point in time when so many other End of the Age prophecies are either coming to pass, or having the stage set for their fulfillment, this crude attempt at spiritual confusion is plainly to be expected. Antichrist and his minions simply do not want people to be able to recognize his true nature, so they are trying to confuse the issue of the number God assigned him 1,900 years ago. You see, Antichrist will have the number '666' clearly visible to the discerning eye when he appears; right now, the foundation of the UPC Code is a '666' numbering sequence system, a technology which still forms the basis for the implantable chip. This fact brings us to the final reason I know that this news story is false. 2. Since the proof of prophecy is to be ascertained in the final analysis by whether it is coming true, and by whether Satan and his demonic horde is forced by God's prophecy to act in order to fulfill his prophecies, I can tell you firmly and conclusively that this "616" story is completely false. A former Satanist told me of the discovery he made which abolished his belief that Satan was the most powerful god in the universe. He was at a friend's house for lunch one day when this friend suddenly had to leave to pick up his wife across town, as her car had broken down. While the friend was gone, this former Satanist saw a large family Bible sitting in the living room. Since he had always wanted to read the Book of Revelation, this dedicated Satanist opened the Bible and began to read. After reading all of Revelation, he hurried put the Bible down in absolute amazement! 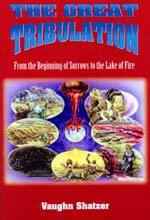 He plainly recognized that Chapters 6 through 19 contained the Plan of the Illuminati! This Satanist asked himself when the prophecies of the Book of Revelation were written, a date he knew was before 100 A.D.; he then remembered that the Illuminati plan had been written by Adam Weishapht and Mayer Amschel Bauer (Rothschild) between 1773-1776. 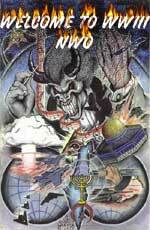 The truth hit this Satanist right between the eyes: the only reason the arrogant Illuminati would create a global plan to produce their Christ which fulfilled Bible prophecy is that God's power was so overwhelming, they had no choice. This Satanist fell on his knees, asked Jesus to be his Savior, and quickly became an ex-Satanist! And, this now "former Satanists" knew that Satanists ascribed the number '666' to Antichrist. In fact, my nearly 20 years of research into Satanism reveals that the number '666' is revered by all types of occultists -- Black Magick, White Magic and New Age practitioners -- all hold '666' to be sacred and incorporate that number into their daily mantras -- not '616'. Occult literature is simply covered over with references to "666". Never once have I heard of '616'. "666" is the Mark of the Beast. Don't let anyone fool you or deceive you on this most important point. 3. The "Bible scholars" who are examining this 400,000 bits of papyri are Liberal scholars who must just be anxious to find any "proof" that God's Word is not true after all. As we head into the End of the Age, get prepared for all sorts of "discoveries" which will be trumpeted as "proof" that the Bible is full of errors. 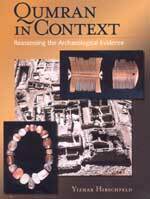 Why, we might even see news of a "discovery" of Jesus' grave, full of "His bones"! Would your faith be shaken? I hope not. IV. Implantable chip conditioning continued last week, hitting a new low note. "The Bergen County, New Jersey Chief of Police Jack Schmidig barked, 'do I trust the government? I am the government!' as he advocated mandatory government implant chipping by law to buy and sell. Schmidig made nationwide headlines when he personally got chipped last month ... Jack Schmidig leads regional rollout of VeriChip by receiving a VeriChip. Now remember last year, the Mexican attorney general told 160 plus of his employees, or even more, they had to take this microchip to get into secure areas. The Chief is not making his employees take it. Though I guess he might be recommending it. But joining us to talk about this important issue is Chief Jack Schmidig ..."
The chief then recounted some of the reasons he "got chipped". * "It started with a dear friend of mine, Mr. Nicholas Minicucci, who is the founder of the Molly Foundation ... for Diabetes ... He, Mr. Minicucci, came up with the idea, through the VeriChip company, of implanting a chip in your - mine is in my arm ... I’m a member of the board of trustees on the Molly Foundation...."
* "... also I’ve heard from Special Forces that some of them have been getting the chip." * "... my German shepherd had a chip implanted for identification." * "... I know of one other officer who had the chip implanted and my secretary, who’s hypoglycemic." After the Police Chief denied that his chip can be used for personal tracking, Alex Jones takes center stage. "...the road to hell is paved with good intentions. To people like you, this sounds good. Hey, you can lose a medical alert bracelet ... There is all these arguments for it but when you go on down the road, it sounds like Revelations. I mean people getting the microchip. Applied Digital says – I have had Applied Digital executives on and they say yes, you will have this for buying and selling. And everyone in the future will take the chip. I mean they said it. I’ve got the transcripts on my website ... you can type in Applied Digital and it says it will be used for tracking. It will be used for prisoners. Applied Digital will be used for cashless transactions." At the very end of the interview, this police chief intimated that, if the future government required all people to be chipped, he would have no trouble whatsoever with that decision. While saying he was a Christian, this police chief gave no indication that he even knew of the "Mark of the Beast" prophesy. This implanted "Mark of the Beast" implantable chip will be identifiable with the '666" designation, just as UPC codes now are. The End of the Age is getting closer. As you will realize after reading these most informative articles, the current conditioning to persuade people to take the "Mark" is leading to the implanting of a very sophisticate, very capable chip -- "without which no man can buy or sell"! Mankind is rushing to the climactic brink of prophetic history. V. News from Iraq turned so bloody this week, it is almost beyond comprehension. However, for the first time, we saw a more realistic view of the future of this blood-soaked war which was never planned to be won. "The ferocious resistance encountered last week by the 1,000-strong US marine task force trying to fight its way into villages around the towns of Qaim and Obeidi in western Iraq shows that the war is far from over ... There is no doubt that the US has failed to win the war. Much of Iraq is a bloody no man's land. The army has not been able to secure the short highway to the airport, though it is the most important road in the country, linking the US civil headquarters in the Green Zone with its military HQ at Camp Victory. Ironically, the extent of US failure to control Iraq is masked by the fact that it is too dangerous for the foreign media to venture out of central Baghdad. Some have retreated to the supposed safety of the Green Zone. Mr Bush can claim that no news is good news, though in fact the precise opposite is true." "After the crescendo of violence over the past month there should be no doubts that the US has not quashed the insurgents ... Many of the resistance groups are bigoted Sunni Arab fanatics who see Shia as well as US soldiers as infidels whom it is a religious duty to kill ... But Washington never appreciated the fact that the US occupation was so unpopular that even the most unsavoury groups received popular support." The discerning reader will not be surprised that these facts on the ground flatly contradict official American propaganda that the insurgents are getting weaker and that great progress is being made to rebuild Iraq into a successful "democracy". This war was planned to not win, a goal which was made clear the moment Rumsfeld and Bush decided that their own Army Chief of Staff was wrong in saying he needed 275,000 troops in order to win this war. They gave him about one-half that number, with devastating consequences. "The US army was also too thin on the ground. It has 145,000 men in Iraq, but reportedly only half of these are combat troops. During the heavily publicised assault on Fallujah the US forces drained the rest of Iraq of its soldiers. "We discovered the US troops had suddenly abandoned the main road between Kirkuk and Baghdad without telling anybody', said one indignant observer. 'It promptly fell under the control of the insurgents'." The Iraqi War was planned -- like the 13-year Vietnam War -- to fail. The global plan for the Final Birth Pangs War which the Illuminati calls World War III, depends in no small measure upon the bitterness left by our invasion and total destruction of Iraq. "BAGHDAD, IRAQ - U.S. military commanders in Baghdad and Washington gave a sobering new assessment of the war in Iraq on Wednesday, adding to the mood of anxiety that prompted Secretary of State Condoleezza Rice to make a trip to Baghdad last weekend to consult with Iraq's new government. In interviews and briefings Wednesday, the generals pulled back from recent suggestions — including by some of the same officers — that positive trends in Iraq could allow a reduction in the 138,000 U.S. troops in Iraq late this year or early in 2006. One senior officer suggested on Wednesday that U.S. military involvement could last 'many years'." "Gen. John P. Abizaid, the top U.S. officer in the Middle East, said in a briefing in Washington that one problem was the disappointing progress in developing Iraqi paramilitary police units cohesive enough to mount an effective challenge to the insurgents and allow U.S. forces to reduce their role in fighting ... In Baghdad, a senior officer said Wednesday in a background briefing that the 21 car bombings in Baghdad so far this month almost matched the total of 25 in all of last year ... the officer said that despite U.S. troops' recent successes in disrupting insurgent cells, which have resulted in the arrest of 1,100 suspects in Baghdad alone in the past 80 days, the success of American goals in Iraq was not assured. "I think that this could still fail," the officer said at the briefing, referring to the U.S. effort in Iraq." VI. Now, let us examine the bloody week on the ground. "BAGHDAD -- Gunmen assassinated an Oil Ministry engineer in Baghdad on Thursday ... An aide to Iraq's top Shiite cleric, a policeman and his father were shot dead in separate attacks. Two Iraqi police officers were killed and another two people, including a policeman, were injured by a roadside bomb in the town of Baqouba ... In northern Mosul, a 12-year-old girl and a man were injured by car bomb that exploded in the city ... Oil Ministry employee Ali Hamid Alwan al-Dulaimy, 31, walked out his house to his car when three men firing pistols from a KIA minibus killed him ... Drive-by shootings by gunmen in mini vans with sliding doors have have become very prevalent in Baghdad in recent weeks." "On Wednesday, gunmen assassinated Shiite cleric Mohammed Tahir al-Allaq, representative of Grand Ayatollah Ali al-Sistani ... Insurgents have been targeting religious leaders, government employees and policemen in a relentless campaign aimed at disrupting Iraq's U.S.-backed reconstruction." "BAGHDAD, Iraq - (KRT) - As more bullet-ridden corpses surfaced in Baghdad on Monday, fears mounted that Iraq's violence is entering a sinister new phase of sectarian killings. The bodies of 12 men, shot dead execution-style, were found in two separate locations in Baghdad, bringing to 25 the number of men found killed under similar circumstances in the capital over the weekend ... Sunni religious leaders said the dead men were Sunnis and accused Iraq's security forces, now controlled by the Shiite-led government, of carrying out the killings." Let us stop right here to properly understand what we have just heard. Sunni religious leaders are accusing Iraq's security forces of being the culprits in these murderous attacks! This government which stands accused of these gangland-style murders is the very government which the Bush Administration put into power and which Bush officials are highly praising as excellent examples of America "democracy" being spread around the world. Yet, why should we be surprised? The Bush Administration stands accused of killing over 100,000 Iraqi civilians since the invasion, and of the Abu Ghraib - Guantanamo Bay torture and sexual humiliation scandal is still making news today. This is the administration which is also accused of shipping prisoners overseas to foreign friendly governments so that our hands would not get too soiled torturing them. This is the same Bush Administration which is deliberately killing our own soldiers with a combination of toxic vaccinations and Depleted Uranium poisoning. And, in NEWS2010, we detail how the Bush Administration has sent out elite assassination teams to work throughout Iraq. These facts means that, when we hear of someone being assassinated in Iraq, we cannot automatically assume the insurgency did the deed. They may be the force behind most of these assassinations, but you cannot automatically assume so. Remember, we have stated many times that the favored goal of the Bush Administration is to have Iraq split into at least three segments: Sunni, Shi'ite, and Kurd. The reasoning behind this desire is that a series of weak, separate governments would be far easier to control than one strong central government. With the concept of separate governments firmly in mind, let us now review our next article. Notice that the Council of Foreign Relations is "recommending" the division of Iraq into separate governments. "The Council on Foreign Relations, which usually reflects State Department thinking, has recommended the restructuring of Iraq into six states under a single national government. The council, in a report entitled "Power-Sharing in Iraq," warned that even with elections an Iraq led by a strong central government might not be democratic. Officials said the Bush administration has been discussing options for Iraq following the withdrawal of U.S. troops in 2007, Middle East Newsline reported. They said without a strong military presence the central government in Baghdad could lose or cede control to ethnic regions .... the Kurds have been the most advanced in efforts to set up an independent region or state ... Already, Kurdistan has been seen as the most stable area of Iraq and has been attracting foreign business meant for Baghdad." The Kurds are so universally hated throughout the Middle East that a new Kurdish state in northern Iraq would probably invite an invasion by Turkey, or Iran. Our Iraq invasion has certainly destabilized the entire Middle East, leaving the region much more vulnerable to all-out war than before the American-led invasion. Again, this is exactly the plan regarding our invasion of Afghanistan and Iraq -- to place the entire region on a razor's edge to war. The Master Plan to World War III is working to perfection! VII. As the United States continued to lead the effort to oust Kofi Annan as UN Secretary General because of the "Oil-For-Food" scandal, the Bush Administration hit a major "hole in the road". "The United States administration turned a blind eye to extensive sanctions-busting in the prewar sale of Iraqi oil, according to a new Senate investigation. A report released last night by Democratic staff on a Senate investigations committee presents documentary evidence that the Bush administration was made aware of illegal oil sales and kickbacks paid to the Saddam Hussein regime but did nothing to stop them. The scale of the shipments involved dwarfs those previously alleged by the Senate committee against UN staff and European politicians like the British MP, George Galloway, and the former French minister, Charles Pasqua." Can you imagine that? After months of righteous indignation pouring out of the Bush Administration concerning the graft that Kofi Annan's son had taken from the "Oil-For-Food" program during the days of Saddam Hussein, and after accusing the British, Russian and French of also taking money, it turns out that our participation in this scandal-ridden program was on such a scale as to "dwarf" the accusations we have been making against others! "... the Senate report found that US oil purchases accounted for 52% of the kickbacks paid to the regime in return for sales of cheap oil - more than the rest of the world put together. 'The United States was not only aware of Iraqi oil sales which violated UN sanctions and provided the bulk of the illicit money Saddam Hussein obtained from circumventing UN sanctions', the report said. 'On occasion, the United States actually facilitated the illicit oil sales'." Even British Minister of Parliament, Galloway, was one of those accused. After spending some time before a US Senate subcommittee rebutting American claims, his spokesman was very blunt about the original American report. 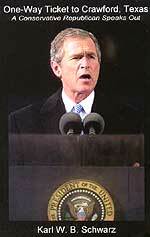 Several accusations surfaced against the Bush Administration handling of this entire affair. "Firstly, it found the US treasury failed to take action against a Texas oil company, Bayoil, which facilitated payment of 'at least $37m in illegal surcharges to the Hussein regime'. The surcharges were a violation of the UN Oil For Food programme, by which Iraq was allowed to sell heavily discounted oil to raise money for food and humanitarian supplies. However, Saddam was allowed to choose which companies were given the highly lucrative oil contracts. Between September 2000 and September 2002 (when the practice was stopped) the regime demanded kickbacks of 10 to 30 US cents a barrel in return for oil allocations. "In its second main finding, the report said the US military and the state department gave a tacit green light for shipments of nearly 8m barrels of oil bought by Jordan, a vital American ally, entirely outside the UN-monitored Oil For Food system ... The report details a series of efforts by UN monitors to obtain information about Bayoil's oil shipments in 2001 and 2002, and the lack of help provided by the US treasury." Once again, we find the truth is lying in exactly the opposite direction of the public rhetoric! VIII. Israel's halting steps toward Unilateral Disengagement shows many signs that severely troubled times do, indeed, lay ahead. "Traffic ground to a halt throughout the country Monday, as thousands of anti-disengagement activists blocked dozens of major thoroughfares and about 100 intersections, causing major traffic jams throughout the country. Anti-disengagement activists deemed the day's events an 'overwhelming success', even though more than 300 activists were detained and even though Internal Security Minister Gidon Ezra rejected criticism of police over the massive anti-disengagement protest." The major goal of the anti-disengagement activists was to prove that they could overwhelm police forces and even IDF units with sheer numbers. This possibility is absolutely giving Prime Minister Sharon's office sleepless nights, for they realize that they cannot cope with protestors over 100,000 people. For this reason, the Sharon government has been trying to convince significant numbers of settlers to voluntarily leave their settlements. For this reason, the IDF is planning to close all roads leading to and from the targeted settlements well before the forced evacuation begins. To deal with just a few thousand demonstrators, the government had to resort to significant steps. "Israel Police today called officers on vacation and educational leave back to work as the department was compelled to contend with the processing of over 400 anti-disengagement arrestees, including over one hundred minors ... Many of the persons in custody continue to refuse to provide police with their names, resulting in a police request to extend their remand by a number of days." These kinds of tactics can inhibit the official attempt to suppress the anti-withdrawal protestors. Going back to our Israel Insider article, we discover that some of the police so identified with the goals of the activists, they actually took steps to aid them! "... some protestors have alleged that members of the police force actually helped with the protest. Group member Orit Schpitz told Ynet "the operation was organized in 24 hours. Our success stemmed not only from our strength and unity, but also from the cooperation with police officers, who not only refrained from reacting violently but even helped a bit. We have noticed a split within police ranks; police officers relate to us, we are their brothers', she said. 'When I say the police officers helped us, I mean some of them identified with our struggle and in some cases allowed the road-blockings'." A similar split is feared within the ranks of the IDF. To prevent this from occurring, leading officers of the IDF have quietly been reassigning religiously observant and otherwise conservative soldiers to units which will not take part in the forced evacuations. Official Israel is very concerned now that they are approaching the time when TV and still cameras will begin capturing images of Jewish men, women and children being forcibly carried out of their homes by Jewish police and soldiers. This "massive demonstration" was designed to show Sharon he cannot realistically force his will upon a significant proportion of the Jewish population who wants nothing to do with his Unilateral Withdrawal plans. The government must truly be very concerned, judging from the terrible rhetorical blast coming from the lips of the Vice-Premier, Shimon Peres. "JERUSALEM (AP) -- Israeli police will respond harshly against Gaza pullout protesters if demonstrations continue, Vice Premier Shimon Peres warned Wednesday, two days after hundreds of young activists blocked dozens of highways - a dry run toward a concerted effort to stop the withdrawal ... Earlier this week, police scuffled with Jewish protesters and arrested more than 300, the largest round of arrests since protest began several months ago. Nonetheless, Peres said police would use even more forceful measures if demonstrations persist. 'The police are trying to do things as gently as possible. If there will be an escalation in protests, I believe there will be an escalation in the response', Peres told Israel Radio. Peres said in the future police would use riot control gear such as water cannons. Protesters have said they would not be deterred by arrests and jail time." Now, notice that most of the arrested protestors were religiously observant, the very type who would be most affected by a "sign" that the Jewish Messiah might be close at hand. the Basic Law of Human Dignity and Liberty, due to the legal ambiguity of the territories' status and doubts that the Basic Law applies to the territories." This is one of the most ridiculous legal statements I have ever heard! The government historically encouraged these settlements and fought vigorously with the United States over the issue all during the decade of the 1990's. Sharon is caught on tape encouraging the settlers to fight against any government attempt to force them out of their homes. The settlements were encouraged and supported by the government for a very long time. However, once Prime Minister Sharon realized that his disengagement plans were going to be resisted mightily by the settlers, he and his Attorney General began to issue statements that the settlements were never "officially" sanctioned by the Israeli government and may not continue receiving state benefits, including police and military protection. Now, the Attorney General is attempting to intimidate the Jewish settlers contemplating resistance by saying that they may not "enjoy constitutional protection of their civil rights under the Basic Law of Human Dignity and Liberty". This ruling, if it is made official, means that the government of Israel may treat resisting settlers very roughly, even dictatorially. Israel does seem to totter on the brink of civil war. IX. President Bush continues to receive more dictatorial power than ever before; however, this time, his power is wiping States' Rights out! "WASHINGTON - The chairman of the Senate Intelligence Committee is working on a bill that would renew the Patriot Act and expand government powers in the name of fighting terrorism, letting the FBI subpoena records without permission from a judge or grand jury ... the measure being written by Sen. Pat Roberts, R-Kan., would give the FBI new power to issue administrative subpoenas, which are not reviewed by a judge or grand jury, for quickly obtaining records, electronic data or other evidence in terrorism investigations, according to aides for the GOP majority on the committee who briefed reporters Wednesday." Slowly, steadily, in order to not arouse the sleeping public, the Bush Administration is following the path Hitler trod between 1933 - 1939, when he passed laws that took away rights and liberties in such small increments as to not arouse his opposition. Further, Hitler never enacted any of these laws right away. However, once he had succeeded in passing all these laws, he suddenly declared war on September 1, 1939, and then began to enact all the laws he had previously passed. His opposition was caught totally flat-footed and could not protest too loudly, or be accused of being unpatriotic, a dangerous charge since the country was at war! This same scenario is occurring today. "President Bush is expected to sign an $82 billion military spending bill soon that will, in part, create electronically readable, federally approved ID cards for Americans. The House of Representatives overwhelmingly approved the package--which includes the Real ID Act--on Thursday ... the U.S. House of Representatives approved a Republican-backed measure that would compel states to design their driver's licenses by 2008 to comply with federal antiterrorist standards. Federal employees would reject licenses or identity cards that don't comply, which could curb Americans' access to everything from airplanes to national parks and some courthouses. "This congressional maneuvering takes place as governments are growing more interested in implanting technology in ID cards to make them smarter and more secure. The U.S. State Department soon will begin issuing passports with radio frequency identification, or RFID, chips embedded in them, and Virginia may become the first state to glue RFID tags into all its driver's licenses." Please note that this awful step toward dictatorship was taken by a Republican House of Representatives, and is backed by a Republican President. Truly, we have lost more freedoms and more morality ground under Republicans than under Democrats (Read NEWS2031 expose' about Republican Judges). Now, let us quickly return to this article to see additional details as to how far this bill moves America towards dictatorship. "Starting three years from now, if you live or work in the United States, you'll need a federally approved ID card to travel on an airplane, open a bank account, collect Social Security payments, or take advantage of nearly any government service. Practically speaking, your driver's license likely will have to be reissued to meet federal standards. you'll need to bring a "photo identity document," document your birth date and address, and show that your Social Security number is what you had claimed it to be. U.S. citizens will have to prove that status, and foreigners will have to show a valid visa. State DMVs will have to verify that these identity documents are legitimate, digitize them and store them permanently. In addition, Social Security numbers must be verified with the Social Security Administration." Remember, no true representative democracy can exist when Antichrist arises! The coming global and national wars and terrorism are designed to so panic the people that they will allow a "temporary" elimination of their freedoms until order can be re-established. 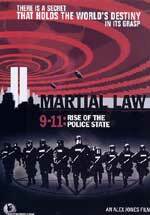 Before this planned global war, all the laws necessary to clamp dictatorship upon the people will be in place and ready to be enacted. This is the real story behind these draconian laws. Can you sense the "Final Birth Pangs War" coming? We are each like a child lost in a crowded market, who has strayed but a few feet from his mother, yet because she cannot be seen, the child is inconsolable. So we try by every method devised by religion to relieve our fears and heal our hidden sadness; but will all our efforts we remain unhappy still, with the settled despair of men alone in a vast and deserted universe. But for all our fears, we are not alone. Our trouble is that we think of ourselves as being alone. Let us correct the error by thinking of ourselves as standing by the bank of a full, flowing river; then let us think of that river as being none else by God Himself. We glance to our left and see the river coming full out of our past; we look to the right and see it flowing into our future. But we also see that it is flowing through our present. And in our today, it is the same as it was in our yesterday, not less than, nor different from, but the very same river, one unbroken continuum, undiminished, active, and strong as it moves sovereignly on into our tomorrow.